The Trader App Review, Fake Trader App Scam Exposed With Proof! 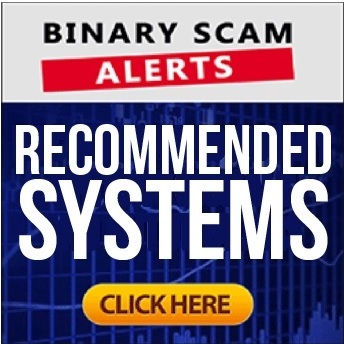 Binary Scam Alerts » Scam Reviews » The Trader App Review, Fake Trader App Scam Exposed With Proof! 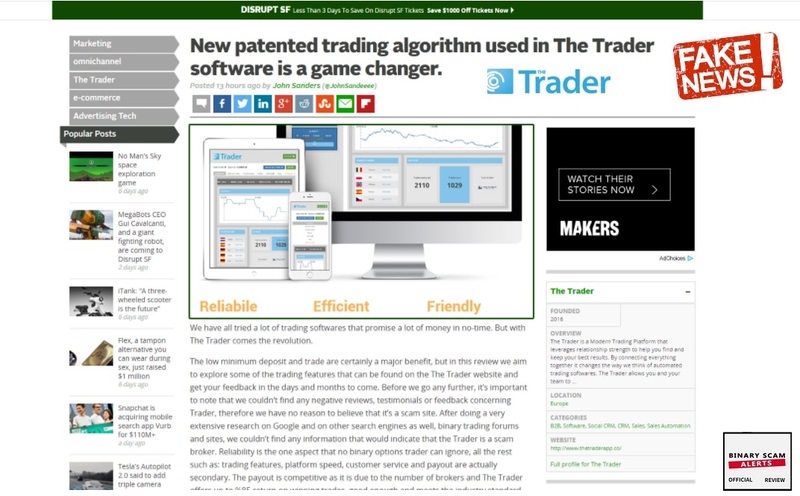 The Trader App software and trading robot by Brian Wren the paid actor and charlatan is a blacklisted SCAM. In our factual and detailed review and investigation, we will produce proof and evidence which will illustrate and explain exactly why The Trader app has nothing to do with automated trading and everything to do with stealing your money. We have just now completed our full investigative report, and found out that there is a huge group of affiliate marketers who have latched on to this offer and re-branded it in order to try and throw our scent off. But they have failed miserably, and now we have caught them red handed as they tried to defraud innocent day-traders and opportunity seekers looking to better their financial situation. Additionally, these hyenas are using fake news articles to legitimize their scheme and cause you to let your guard down. This practice is extremely misleading and deceptive. We have zero tolerance for these fake gimmicks as well. Our staff or researchers is all too familiar with these tricks, as our mission is to protect innocent would-be traders and opportunity seekers looking for a legit or genuine trading app. 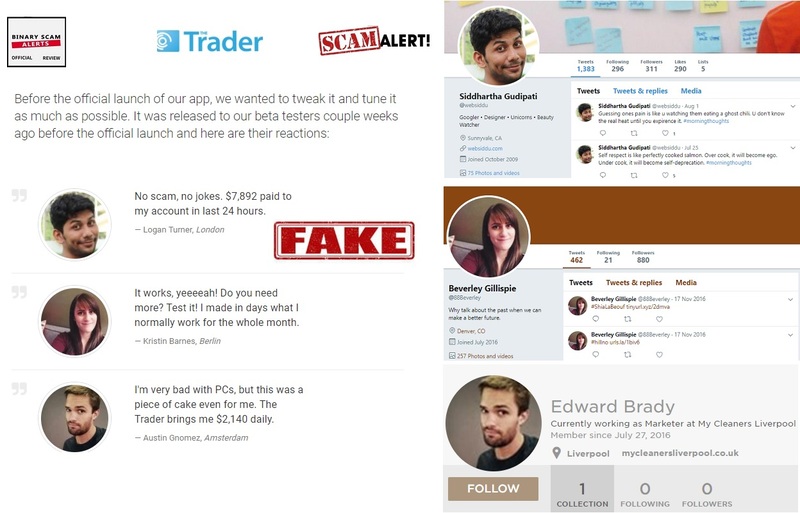 Keep reading to see how we exposed these crooks and why we believe the Trader App is a confirmed financial scam designed to steal your money. Below you will see the Trader app main sales page where Brian Wren introduces himself. It’s also interesting to point out that these liars claim that their website is SSL secure, when in reality there is no active SSL certificate attached to the website. Moving forward, here is the testimonials section of the Trader App. A simple Google search will reveal that Logan Turner, Kristin Barnes (in reality Beverly Gillispie), and Austin Gnomez are aliases and fake customer profiles. We can’t over stress how these baiting tactics negatively influence consumer judgement and thought process. Last and maybe most importantly is the fake news box which is displayed below the second page of the registration form. This is a nasty and malicious tactic which has been gaining more popularity with unethical online promoters and affiliate marketers. We have seen the trend grow to monstrous proportions and this is because of the effect fake news has on shaping public opinion and consumer behavior. The psychological effect of this form of false advertising is extremely effective (obviously). Here’s another “easy-to-use trading tool & automated trading app with a unique algorithm”. You are about to see the release “of a revolutionary new tool for people who are working from home. Wren claims he tried 32 different kinds of software only to get tricked each and every time, but he knew there was a “golden goose” and a way to make a profit while sleeping. He had to find a way to become financially secure for good. When he started looking back he found one thing which was in common to all schemes, and that is the fact that they never ask for a single dollar, its all “free”. On top of that he found out that the certain websites cheat and lie for promotional purposes (not that we didn’t already know this). He claims his software will never be for free, because he created “the world’s only trading robot which is actually making money for its clients”. He says he’s gonna be the first guy that asks for money and that is proof that his software works, because his “reputation” is on the line. Then he brings in “Howard Davis” who is supposed to be a professional trader and independent reviewer who publishes trading tips on his blog. The problem is that Howard Davis does NOT exist, and neither does his fictional service. The actor above mentions he “never used any trading system for more than 2 hours”, and he also says that many promoters as him to review his system. He always asks for $5,000 and $10,000 to cover his trading fees. Then if the system is profitable he is willing to publish a review. He claims Wren was the first one who ever agreed to his terms. Davis is then viewed trading with the app and gives it a favorable review. After that we see Wren step back into the limelight and talk about how the software can make you anything between $300 to $1,000 a day as a passive investor. Only 5 minutes a day will get you access to this very profitable life-changing software and make you financially independent. They used “modern technology” and a very user-friendly trading interface. The secret behind the algorithm is that is combines all the different aspects of trading like, programming skills, speed of execution, experience and skills, social trading and aggregates it into one suggestive signals formula. First of all 15 to 20 manual signals a day DO NOT translate into 5 minutes a day. So that is a lie and contradictory information which creates a totally flawed narrative. 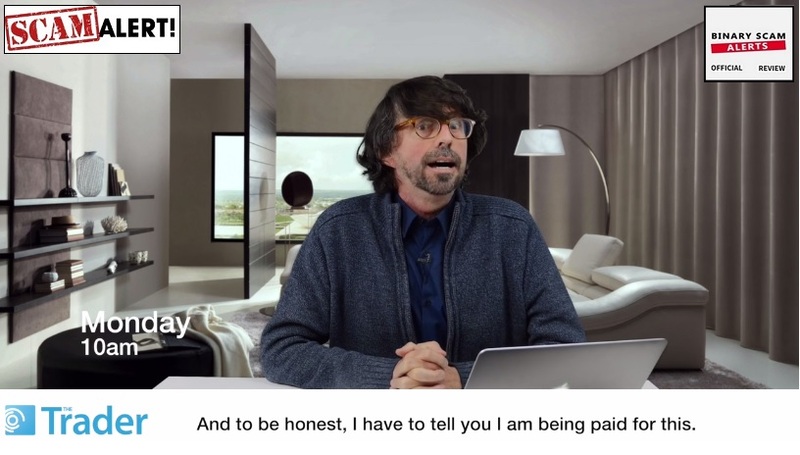 Secondly, all the testimonials are fake, the presenters are paid actors with no way to prove their real identity. The claims are not as hyped up and exaggerated as we are used to seeing, but just enough to get you to trust them (which is even more dangerous). We don’t see inflated bank accounts, but by the same token there is no real proof of win from the broker’s trading account. They actually say it is not in more than one occasion, but what they don’t mention is that the money is charged to your credit card by rogue and unlicensed offshore brokers. The reason for this being is that they just want you to invest and continue conspiring behind the scenes with the crooked brokers to steal your cash. There are a few of those, and we know the so called “honest” review sites are taking bribes in the form of commissions and write favorable reviews. The hot ones trending right now are Quantum Code and Bitcoin Code which are both being promoted very heavily via an affiliate or advertising network. If you have second thoughts about joining a program then it’s with good reason. Most of losing apps today are not worthy and don’t pan out. Fortunately there are a few consistent money-making machines, and these are proudly showcased in our recommended section. Remember to check it out periodically because we test out new systems from time to time. 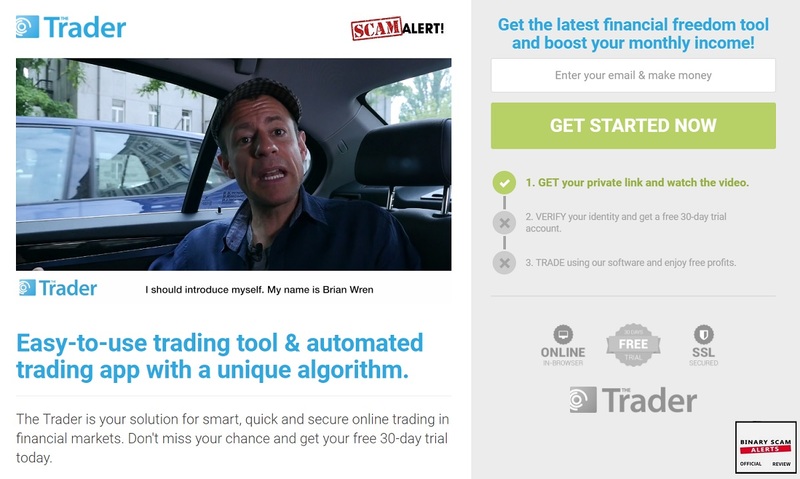 The Trader App robot and automated trading software by Brian Wren is a blacklisted SCAM and should not be trusted under any circumstances. Our honest review has outlined in a very detailed, factual, and easy-to-understand manner why this is the case. We have also provided unequivocal proof and evidence of foul play, so if you had any doubts or hesitations you should now be totally aware that you will end up getting your wallet fleeced. The Trader app is anything but legit or genuine, and in fact quite the opposite is true. The promoters and production team behind it are creepy at best, and most likely have a criminal background. We know these crooks specialize in credit card fraud, identity theft, and software manipulation. If you feel you have traded and the app is rigged or set to lose, then you are most likely getting ripped off by these internet con artists. In light of all our findings and indisputable proof of scam our staff produced, we are forced yet again to blacklist the trader app and advise our members and viewers to seek alternative means of investing. Don’t forget to join our Facebook Group and Subscribe to our YouTube Channel.